Harter Investments: LOCAL Omaha, Nebraska house buyer. As Is, No Contingencies, Cash. Do you own an investment property in Omaha, Nebraska that you’d like to sell fast for cash? When other people are living in your house, the selling process in Omaha, Nebraska can become a bit more complicated. In our latest post, learn more about how to sell your house fast in Omaha, Nebraska with tenants! As a landlord, there may come a day when you grow tired of screening tenants, collecting rent, painting, fixing the damage done by tenants and finally you are ready to sell your house. Even if you have tenants, it is your property and you have every right to sell your house if you wish. In some cases, you’ll be able to let your tenants know, and it won’t be an issue. However, you also don’t want to risk losing your tenants, being stuck with a vacant house or risking the possibility of any damage being done to the property while your house is on the market. That said, the tenants have rights, and you want to make sure you aren’t violating them. Below, we discuss common things that arise when you decide to sell your house with tenants in Omaha, Nebraska. What does your lease situation look like with your current tenants? If you have a month to month lease, ending the lease shouldn’t be difficult. The more time you can give your tenants regarding moving on a month to month lease the better. You will need to provide a fair amount of notice to your tenant, typically 30-60 days. If you are in the middle of a fixed-term lease, things are a bit different. If you want to sell your rental property mid-lease, you’ll either need to sell the property to an investor who will honor the term of the lease, or give your tenant some sort of incentive to move out. Some leases contain early-termination clauses that would allow you to end the lease early in certain situations. Remember, the tenant has rights too under the fair housing act, and if you violate those rights, you could find yourself penalized. 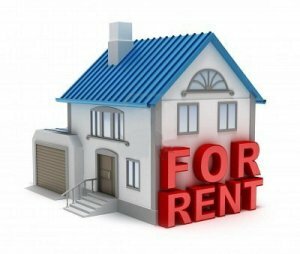 To make sure you do not violate the tenant’s rights you may want to seek the advice of a lawyer. If your tenant has violated their lease, you should be able to evict them without an issue. That said, if your tenant is refusing to leave, the eviction process can become long and arduous. Most landlords try to avoid dealing with evictions at all costs. By selling your house with tenants directly, you’ll be able to avoid the eviction process yourself and be able to move on from the property with cash in hand. Many local direct house buyers in Omaha, Nebraska will simply take over the lease and business will go on as usual. If the tenants are in violation of the lease, the buyer will go through the eviction process as necessary. Plus, a direct sale will help you avoid having to list, market, and show the property, things would likely cause even more tension between you and your difficult tenants and save you thousands of dollars in commissions to a real estate agent, closing costs, repair costs just to name a few. There are many reasons why a direct sale to a local house buyer in Omaha, Nebraska is beneficial for people who need to sell their house with tenants in Omaha, Nebraska. Investors are happy to take over a property that already has a tenant in place, especially when they are in good standing. It saves them time and money advertising, marketing, and showing the property. They won’t have to bother screening tenants or running the background checks because those things have already been done. Even if there is a difficult tenant living in the home, an experienced local house investor in Omaha, Nebraska won’t have trouble pursuing the eviction process if the tenant is in violation. They have likely had to do it before, and won’t be bothered by the process. If you want to sell a house to a local house buyer in Omaha, Nebraska with tenants in Omaha, Nebraska, there are certain ways to go about doing it. Always make sure you are being fair to your tenants, and giving the proper amount of notice. Not only is it the law, but it is the right thing to do. It is recommended to consult a lawyer if you have any questions on evictions etc. It is always good to get clarification to any questions or procedures you may have. To get more information about how to sell your house with tenants in Omaha, send us a message or give us a call today!